A new Saber mount has been added. Loremaster of Kul Tiras Name changed from "Kul Tourist" to "Loremaster of Kul Tiras". Complete the following achievements on the continent of Kul Tiras. 10 points. Kul Tiras quest achievements listed below. 10 points. Account Wide. Loremaster of Zandalar (New) Complete the following achievements on the continent of Zandalar. 10 points. Account Wide. Can I Get a Hek Hek Hek Yeah? (New) Defeat the Champion of the Light after stealing 3 shinies from each of the Crusaders, Disciples and Champion of the Light on Normal Difficulty or higher. 10 points. Death's Bargain (New) Witness the retelling of your allies' heroic efforts in the Battle of Dazar'alor. 10 points. Defense of Dazar'alor (New) Defeat the following bosses in the Battle of Dazar'alor. 10 points. Empire's Fall (New) Defeat the following bosses in the Battle of Dazar'alor. Might of the Alliance (New) Witness the retelling of your allies' valiant efforts in the Battle of Dazar'alor. 10 points. Mythic: Champion of the Light (New) Defeat the Champion of the Light in Battle of Dazar'alor on Mythic difficulty. 10 points. Mythic: Conclave of the Chosen (New) Defeat Conclave of the Chosen in Battle of Dazar'alor on Mythic difficulty. 10 points. Mythic: Flamefist and the Illuminated (New) Defeat Mestrah, the illuminated and Manceroy Flamefist in Battle of Dazar'alor on Mythic difficulty. 10 points. Mythic: Grimfang and Firecaller (New) Defeat Ma'ra Grimfang and Anathos Firecaller in Battle of Dazar'alor on Mythic difficulty. 10 points. Mythic: Grong (New) Defeat Grong in Battle of Dazar'alor on Mythic difficulty. 10 points. Mythic: King Rastakhan (New) Defeat King Rastakhan in Battle of Dazar'alor on Mythic difficulty. 10 points. Mythic: Lady Jaina Proudmoore (New) Defeat Lady Jaina Proudmoore in Battle of Dazar'alor on Mythic difficulty. 10 points. Mythic: Mekkatorque (New) Defeat Gelbin Mekkatorque in Battle of Dazar'alor on Mythic difficulty. 10 points. Mythic: Stormwall Blockade (New) Defeat Stormwall Blockade in Battle of Dazar'alor on Mythic difficulty. 10 points. Mythic: Treasure Guardian (New) Defeat Treasure Guardian in Battle of Dazar'alor on Mythic difficulty. 10 points. Siege of Dazar'alor (New) Defeat the following bosses in the Battle of Dazar'alor. 10 points. Victory or Death (New) Defeat the following bosses in the Battle of Dazar'alor. 10 points. Faire Favors Complete at least six five profession-based quests at the Darkmoon Faire. 10 points. Glory of the Battle of Dazar'alor Raider (New) Complete the Battle of Dazar'alor raid achievements listed below. 25 points. Account Wide. By Nature's Call (New) Embody every Alliance Hero in the Battle for Darkshore. 10 points. Deforester (New) Embody every Horde Hero in the Battle for Darkshore. 10 points. Night Moves (New) Capture every location in the Battle for Darkshore. 10 points. Recruitment Officer (New) Recruit one of every troop type in the Battle for Darkshore. 10 points. Under Cover of Darkness (New) Capture a location in the Battle for Darkshore. 10 points. War for the Shore (New) Complete the Battle for Darkshore. 10 points. Ashenvale Chimaera (New) Summons and dismisses an Ashenvale Chimaera. This mount changes depending on your Riding skill and location. Account wide. Account wide. 1.5 sec cast. Blackpaw (New) Summons and dismisses Blackpaw. Account wide. Account wide. 1.5 sec cast. Blue Marsh Hopper (New) Summons and dismisses a Blue Marsh Hopper. Account wide. Account wide. 1.5 sec cast. Frightened Kodo (New) Summons and dismisses a rideable Frightened Kodo. Account wide. Account wide. 1.5 sec cast. 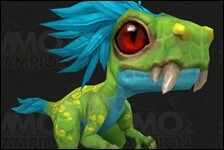 Green Marsh Hopper Name changed from "Spawn of Krag'wa" to "Green Marsh Hopper". Summons and dismisses a Spawn of Krag'wa Green Marsh Hopper. Account wide. Account wide. 1.5 sec cast. Kaldorei Nightsaber (New) Summons and dismisses a rideable Kaldorei Nightsaber. Account wide. Account wide. 1.5 sec cast. Reins of the Onyx War Hyena Name changed from "Hyena Mount Black (PH)" to "Reins of the Onyx War Hyena". 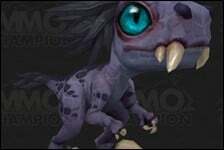 Summons and dismisses your Hyena Mount Black (PH Onyx War Hyena). Account wide. Account wide. 1.5 sec cast. Sandy Nightsaber (New) Summons and dismisses a rideable Sandy Nightsaber. Account wide. Account wide. 1.5 sec cast. Umber Nightsaber (New) Summons and dismisses a rideable Umber Nightsaber. Account wide. Account wide. 1.5 sec cast. Yellow Marsh Hopper (New) Summons and dismisses a Yellow Marsh Hopper. Account wide. Account wide. 1.5 sec cast. Darkshore Sentinel (New) Right Click to summon and dismiss the Greatwing Macaw. Battle Pet. Battle Pet. Instant. Dasher (New) Right Click to summon and dismiss this companion. Battle Pet. Battle Pet. Instant. Detective Ray (New) Right Click to summon and dismiss the Greatwing Macaw. Battle Pet. Battle Pet. Instant. Everburning Treant (New) Right Click to summon and dismiss the Greatwing Macaw. Instant. Gust of Cyclarus (New) Right Click to summon and dismiss the Greatwing Macaw. Battle Pet. Battle Pet. Instant. Hydrath Water Droplet (New) Right Click to summon and dismiss the Greatwing Macaw. Battle Pet. Battle Pet. Instant. Proper Parrot (New) Right Click to summon and dismiss the Greatwing Macaw. Battle Pet. Battle Pet. Instant. Tanzil (New) Right Click to summon and dismiss this companion. Battle Pet. Battle Pet. Instant. Trecker (New) Right Click to summon and dismiss this companion. Battle Pet. Battle Pet. Instant. Void Jelly (New) Right Click to summon and dismiss the Greatwing Macaw. Battle Pet. Battle Pet. Instant. Zur'aj the Depleted (New) Right Click to summon and dismiss the Greatwing Macaw. Instant. Item - Warlock T19 Destruction 2P Bonus Casting Chaos Bolt reduces the cast time of your next Chaos Bolt by 40% for 4 sec. 10% for 4 sec. Veteran of the Third War Stamina increased by 60% and Armor increased by 15%. Death Knight - Blood Spec. Death Knight - Blood Spec. 1 sec global cooldown. Will of the Necropolis Damage taken below 35% Health is reduced by 35% 30% Health is reduced by 30%. Blood Death Knight - Level 60 Talent. Blood Death Knight - Level 60 Talent. Death Strike Death Strike's healing is increased by 40% cost is reduced by 10, and its healing is increased by 60%. Death Knight - Frost & Unholy Spec. Death Knight - Frost & Unholy Spec. Shred Balance, Guardian, Restoration: Shred the target, causing [ 46% of Attack Power ] Physical damage to the target. Feral: Shred the target, causing [ 46% of Attack Power ] Physical damage to the target. Deals 20% increased damage against bleeding targets. While stealthed, Shred deals 30% increased damage, and has double the chance to critically strike. Awards 0 combo points. Guardian: Shred the target, causing [ 46% of Attack Power ] Physical damage to the target. Awards 0 combo points. Requires Cat Form. 40 Energy. Melee range. Instant. 1 sec global cooldown. Thrash Strikes all nearby enemies, dealing [ 6.7% [ 5.5% of Attack Power ] Bleed damage and an additional [ 20% [ 17.5% of Attack Power ] Bleed damage over 15 sec. Awards 1 combo points. Requires Cat Form. 40 Energy. 8 yd range. Instant. 1 sec global cooldown. Mastery: Starlight Increases Moonfire, Sunfire,, Stellar Flare and Starfall damage by [ 140% of Spell Power ]%. Increases Starsurge damage by [ 70% Starsurge, and Starfall damage by [ 154% of Spell Power ]%. Increases the damage effects of Lunar Empowerment by an additional [ 140% of Spell Power ]% and Solar Empowerment by an additional [ 70% [ 154% of Spell Power ]%. Druid - Balance Spec. Druid - Balance Spec. Stellar Flare Burns the target for [ 10% [ 12.5% of Spell Power ] Astral damage, and then an additional [ 84% [ 105% of Spell Power ] damage over 24 sec. Generates 8 Astral Power. Balance Druid - Level 90 Talent. Balance Druid - Level 90 Talent. 40 yd range. 1.5 sec cast. Twin Moons Moonfire deals 20% 10% increased damage and also hits another nearby enemy within 15 yds of the target. Balance Druid - Level 90 Talent. Balance Druid - Level 90 Talent. Brutal Slash Strikes all nearby enemies with a massive slash, inflicting [ 60% [ 69% of Attack Power ] Physical damage. Awards 1 combo points. 3 charges. Requires Cat Form. Feral Druid - Level 90 Talent. Feral Druid - Level 90 Talent. 25 Energy. 8 yd range. Instant. 8 sec recharge. 1 sec global cooldown. 3 charges. Feral Druid Increases damage/healing by 8%: Berserk, Brutal Slash, Feral Frenzy, Ferocious Bite, Incarnation: King of the Jungle, Maim, Moonfire, Primal Wrath, Rake, Rip, Shred, Swipe, Thrash Increases periodic damage/healing by 8%: Berserk, Brutal Slash, Feral Frenzy, Ferocious Bite, Incarnation: King of the Jungle, Maim, Moonfire, Primal Wrath, Rake, Rip, Shred, Swipe, Thrash Increases damage/healing by 83%: Regrowth Increases periodic damage/healing by 83%: Regrowth Druid - Feral Spec. Druid - Feral Spec. Primal Wrath Finishing move that deals instant damage and applies Rip to all enemies within 10 8 yards. Lasts longer per combo point. 1 point : [ 10% of Attack Power ] plus Rip for 4 sec 2 points: [ 15% of Attack Power ] plus Rip for 6 sec 3 points: [ 20% of Attack Power ] plus Rip for 8 sec 4 points: [ 25% of Attack Power ] plus Rip for 10 sec 5 points: [ 30% of Attack Power ] plus Rip for 12 sec Requires Cat Form. Feral Druid - Level 90 Talent. Feral Druid - Level 90 Talent. 20 Energy. 8 yd range. Instant. 1 sec global cooldown. Savage Roar Finishing move that increases damage by 10% and energy regeneration rate by [ 10 + 25% of Spell Power ]% while in Cat Form. Lasts longer per combo point: 1 point : 12 seconds 2 points: 18 seconds 3 points: 24 seconds 4 points: 30 seconds 5 points: 36 seconds Feral Druid - Level 75 Talent. Feral Druid - Level 75 Talent. 30 25 Energy. 100 yd range. Instant. 1 sec global cooldown. Guardian Druid Increases damage/healing by 4% 16%: Brambles, Lunar Beam, Mangle, Maul, Moonfire, Pulverize, Thrash Increases periodic damage/healing by 4% 16%: Brambles, Lunar Beam, Mangle, Maul, Moonfire, Pulverize, Thrash Increases damage/healing by 83%: Regrowth Increases periodic damage/healing by 83%: Regrowth Decreases damage/healing by 46%: Moonfire Druid - Guardian Spec. Druid - Guardian Spec. Early Spring Wild Growth is now instant cast, and when you heal 6 allies with Wild Growth you gain Full Bloom. This effect has a 30 sec cooldown. Full Bloom Your next Wild Growth applies Lifebloom to all targets. Lasts for 30 sec. PvP Talent. PvP Talent. Requires Druid. Requires level 40+. Arcane Shot A quick shot that causes [ 48% [ 60% of Attack Power ] Arcane damage. Requires Ranged Weapon. Hunter - Marksmanship Spec. Hunter - Marksmanship Spec. 15 Focus. 40 yd range. Instant. Bursting Shot Fires an explosion of bolts at all enemies in front of you, knocking them back, snaring them by 50% for 4 6 sec, and dealing [ 5.27% of Attack Power ] Physical damage. Requires Ranged Weapon. Hunter - Marksmanship Spec. Hunter - Marksmanship Spec. 10 Focus. Instant. 30 sec cooldown. Careful Aim Aimed Shot has a 50% chance to deal 100% 100% chance to deal 50% bonus damage to targets who are above 80% health or below 20% health. Marksmanship Hunter - Level 30 Talent. Marksmanship Hunter - Level 30 Talent. Explosive Shot Fires a slow-moving munition directly forward. Activating this ability a second time detonates the Shot, dealing up to Fires an explosive shot at your target. After 3 sec, the shot will explode, dealing [ 131.04% of Attack Power ] Fire damage to all enemies within 8 yds. If you do not detonate Explosive Shot, 10 Focus and some of the cooldown will be refunded yards. Requires Ranged Weapon. Marksmanship Hunter - Level 30 Talent. Marksmanship Hunter - Level 30 Talent. 20 Focus. 40 yd range. Instant. 30 sec cooldown. Lethal Shots Steady Shot has a 25% chance to cause your next Aimed Shot or Rapid Fire to be guaranteed critical strikes Arcane Shot and Multi-Shot have a 20% chance to reduce the cooldown of Rapid Fire by 5.0 sec. Marksmanship Hunter - Level 90 Talent. Marksmanship Hunter - Level 90 Talent. Multi-Shot Fires several missiles, hitting your current target and all enemies within 8 yards for [ 30% [ 37.5% of Attack Power ] Physical damage Requires Ranged Weapon. Hunter - Marksmanship Spec. Hunter - Marksmanship Spec. 15 Focus. 40 yd range. Instant. Precise Shots Aimed Shot causes your next 1-2 Arcane Shots or Multi-Shots to deal 100% 75% more damage. Hunter - Marksmanship Spec. Hunter - Marksmanship Spec. Sniper Shot Take a sniper's stance, firing a well-aimed shot dealing [ 111.54% of Attack Power ] Physical damage 20% of the target's maximum health in Physical damage and. Increases the range of all shots by 40% for 15 6 sec. Requires Ranged Weapon. PvP Talent. PvP Talent. 50 40 Focus. 55 yd range. 3 sec cast. 10 sec cooldown. Requires Hunter. Requires level 40+. Steady Shot A steady shot that causes [ 60% of Attack Power ] Physical damage and increases the duration of Concussive Shot on the target by 3.0 sec. Usable while moving. Generates 10 Focus. Requires Ranged Weapon. Hunter - Marksmanship Spec. Hunter - Marksmanship Spec. 40 yd range. 1.8 sec cast. Trueshot (New) Reduces the cooldown of your Aimed Shot and Rapid Fire abilities by 60%, and causes Aimed Shot to cast 50% faster. Hunter - Marksmanship Spec. Hunter - Marksmanship Spec. Instant. 2 min cooldown. Volley Your auto-shots have a 10% 25% chance to cause a volley of arrows to rain down around the target, dealing [ 75% [ 35% of Attack Power ] Physical damage to each enemy within 8 yards. Marksmanship Hunter - Level 30 Talent. Marksmanship Hunter - Level 30 Talent. Chrysalis Reduces the cooldown of Life Cocoon by 30 60 sec. PvP Talent. PvP Talent. Requires Monk. Requires level 40+. Eminence Reduces the cooldown of your Transcendence: Transfer by 5 20 sec. PvP Talent. PvP Talent. Requires Monk. Requires level 40+. Consecration Deals [ 4.2% Deals [ 5% of Attack Power ] Holy damage every 1 sec to enemies within 8 yards. Unlimited range. Instant. Consecration Consecrates the land beneath you, causing [ 37.8% [ 45% of Attack Power ] Holy damage over 12 sec to enemies who enter the area. Limit 1. Paladin - Holy & Protection Spec. Paladin - Holy & Protection Spec. Instant. 4.5 sec cooldown. Consecration Consecrates the land beneath you, causing [ 29.4% [ 35% of Attack Power ] Holy damage over 6 sec to enemies who enter the area. Generates 1 Holy Power. Retribution Paladin - Level 60 Talent. Retribution Paladin - Level 60 Talent. Instant. 20 sec cooldown. Divine Purpose Your abilities that consume Holy Power have a 15% chance to make your next ability that consumes Holy Power free and deal 30% 20% increased damage and healing. Retribution Paladin - Level 100 Talent. Retribution Paladin - Level 100 Talent. Divine Storm Unleashes a whirl of divine energy, dealing [ 92.8% [ 111.4% of Attack Power ] Holy damage to all nearby enemies. Requires Two-Handed Melee Weapon. Paladin - Retribution Spec. Paladin - Retribution Spec. 3 Holy Power. Instant. Ultimate Retribution (New) When an ally within 40 yards falls below 25% health, you gain Avenging Wrath for 6 sec. When an ally is slain within 40 yards of you, your Redemption spell can now be cast while in combat within the next 20 sec. Using Divine Shield or Blessing of Protection on yourself will cancel this effect. PvP Talent. PvP Talent. 1 sec global cooldown. Requires Paladin. Requires level 40+. Atonement Power Word: Shield, Shadow Mend, and Power Word: Radiance apply Atonement to your target for 15 sec. Your spell damage heals all targets affected by Atonement for 60% 55% of the damage done. Priest - Discipline Spec. Priest - Discipline Spec. System Shock Casting Envenom with at least 5 combo points on a target afflicted by your Garrote, Rupture, and lethal poison deals [ 32.76% [ 21.6% of Attack Power ] Nature damage, and reduces their movement speed by 90% for 2 sec. PvP Talent. PvP Talent. Requires Rogue. Requires level 40+. Shuriken Combo Shuriken Storm increases the damage of your next Eviscerate by 8% 5% for each enemy hit beyond the first. Stacks up to 5 times. Rogue - Subtlety Spec. Rogue - Subtlety Spec. Shuriken Storm Sprays shurikens at all targets within 10 yards, dealing [ 12% of Attack Power + 12% [ 13.8% of Attack Power + 13.8% of Off-hand Attack Power ] Physical damage. Damage increased by 50% while Stealth or Shadow Dance is active. Awards 1 combo points per target hit plus an additional 1. Rogue - Subtlety Spec. Rogue - Subtlety Spec. 35 Energy. Instant. 1 sec global cooldown. Chain Heal Heals the friendly target for [ 105% [ 140% of Spell Power ], then jumps to heal the most injured nearby party or raid members. Healing is reduced by 15% after each jump. Heals 3 total targets 2 most injured nearby allies. Healing is reduced by 30% with each jump. Shaman - Restoration Spec. Shaman - Restoration Spec. 25% of Base Mana. 40 yd range. 2.5 sec cast. Aimed Shot A powerful aimed shot that deals [ 207% of Attack Power ] Physical damage. Damage increased by 50% against a target you have not yet damaged. Replaces Cobra Shot. Requires Ranged Weapon. 2 charges. Hunter - Marksmanship Spec. Hunter - Marksmanship Spec. 30 Focus. 40 yd range. 2.5 sec cast. 12 sec recharge. 2 charges. Cold Hearted (New) Icebound Fortitude heals for 319 every sec and its cooldown is reduced by 15 seconds. Superior Stratagem Name changed from "Defender's Advantage" to "Superior Stratagem". Taking damage increases your Stamina by 47 and your Versatility by 16 for 4 sec, stacking up to 10 times. Stacks are maximized while near an objective in a Battleground. Magus of the Dead (New) Apocalypse and Army of the Damned additionally summon a Magus of the Dead who hurls Frostbolts and Shadowbolts at your foes, dealing 156 each. Power of the Moon Moonfire deals 91 additional damage instantly, and has a 5% chance to grant you Lunar Empowerment. 12 additional periodic damage, and has a chance to grant Lunar Empowerment. High Noon Sunfire's radius is increased to 11 yds, and it deals 91 additional damage to its primary target. 16 additional periodic damage. Gushing Lacerations Rip deals 24 additional damage per combo point 9 additional periodic damage, and has a 6% chance to award a combo point each time it deals damage. Nature's Salve (New) Exhilaration heals you for an additional 1,924 health, and the cooldown is reduced by 15.0 sec. Primeval Intuition (New) Your maximum Focus is increased to 120, and Mongoose Bite increases your Critical Strike by 0 for 12 sec, stacking up to 10 times. Surging Shots Name changed from "Sharpshooter" to "Surging Shots". Flash Freeze (New) Each of your Icicles deals 55 additional damage, and when an Icicle deals damage you have a 5% chance to gain the Fingers of Frost effect. Quick Casting (New) Your instant cast damaging spells heal you for 131. Brain Storm Evocation grants 2 Arcane Charges, and While channeling Evocation, your Intellect is increased by 37 every 1 sec. Lasts 30 sec. Glory of the Dawn (New) Rising Sun Kick has a chance to trigger a second time, dealing 638 Physical damage and restoring 1 Chi. Straight, No Chaser Ironskin Brew increases your Armor by 76, and has an a 10% chance to not consume a charge. Empyrean Power Your auto Your attacks have a chance to make your next Divine Storm free and deal 203 additional damage. Thought Harvester (New) Vampiric Touch damage is increased by 21, and each time Vampiric Touch deals damage you have a chance to increase the damage of your next Mind Sear within 20 sec by 300%. Searing Dialogue Mind Sear deals an additional 80 damage to enemies suffering from your Shadow Word: Pain.and snares all enemies hit by 30%. Whispers of the Damned Void Bolt increases the damage of Shadow Word: Void by 63 for 6 sec, stacking up to 6 times. Shadow Word: Void deals 96 additional damage and generates 10 additional Insanity on critical strikes. Lying In Wait (New) While no enemy is within 12 yds, heal for 689 every sec. While any enemy is within 12 yds, gain 173 Speed. Blade In The Shadows Shadowstrike increases the damage your Shadowstrike deals by 9 for 60 sec 5, stacking up to 10 times.and costs 2 less Energy. Perforate Backstabbing an enemy from behind increases the damage of Backstab by 20 for 12 sec, stacking up to 3 times.and reduces the cooldown of Shadow Blades by 0.5 sec. Ancestral Resonance When you cast While under the effects of Heroism, your Mastery increases by 0 every second, stacking up to 20 times. Spouting Spirits Spirit Link Totem restores 510 Totem's radius is increased by 15%, and it restores 442 health to all nearby allies 1 second after it is dropped. Turn of the Tide Both bonuses of Tidal Waves are increased by 5%, and spells affected by it heal for an additional 160. Dreadful Calling Unstable Affliction deals 44 56 additional damage, and casting Unstable Affliction reduce the cooldown of Summon Darkglare by 1 sec. Cold Steel, Hot Blood (New) Bloodthirst critical strikes generate 4 additional Rage, and inflict a Gushing Wound that leeches 0 health over 6 sec. Intimidating Presence (New) Intimidating Shout reduces the movement speed of affected enemies by 50%, and prevents the next 1,356 damage they deal after Intimidating Shout ends. Striking the Anvil (New) The Tactician effect improves your next Overpower, causing it to deal 964 additional damage and reduce the remaining cooldown of Mortal Strike by 1.5 sec. 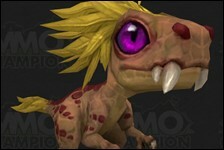 Unbridled Ferocity (New) Rampage deals an additional 80 damage and has a 8% chance to grant you Recklessness for 4 sec. Gathering Storm (Arms) While Ravager is active, every 1 sec you gain 62 Speed and Ravager's damage increases by 139. 5% movement speed and 109 Strength, stacking. Gathering Storm (Fury) While Bladestorming, every 1 sec you gain 62 Speed and Bladestorm's damage increases by 139. 0.8 sec you gain 5% movement speed and 109 Strength, stacking. Gathering Storm Fury: While Bladestorming, every 1 sec you gain 62 Speed and Bladestorm's damage increases by 139. 0.8 sec you gain 5% movement speed and 109 Strength, stacking. 7th Legion Scouting Map (New) Discover several Alliance flight points around Zandalar and Kul Tiras. 2 sec cast. Add Keystone Affix: Infested (New) Add the Infested affix to a Mythic Keystone. Instant. Apply Equipment Equip a champion with a Magnetic Mining Pick which grants: Chance to bring back ore from successful missions. Instant. Apply Equipment Equip a champion with an Amber Rallying Horn which grants: Increases success chance of missions by 0% for each accompanying troop. Instant. Apply Equipment Equip a champion with a Makeshift Azerite Detector which grants: Chance to bring back Azerite from successful missions. Instant. Apply Equipment Equip a champion with a Vial of Obfuscation which grants: Removes the negative effect imposed by the Stealth mission type. Instant. Apply Equipment Equip a champion with a Crimson Ink Well which grants: Chance to bring back ink from successful missions. Instant. Apply Equipment Equip a champion with a Tempest Hide Pouch which grants: Chance to bring back skins or hides from successful missions. Instant. Apply Equipment Equip a champion with a Potion of Herb Tracking which grants: Chance to bring back herbs from successful missions. Instant. Apply Equipment Equip a champion with a Platinum Whetstone which grants: Increases mission success chance by 0%. Instant. Apply Equipment Equip a champion with Storm Silver Spurs which grants: Equip a champion with Storm Silver Spurs which grants: Decreases mission duration by 100%. Instant. Apply Equipment Equip a champion with a Kaleidoscopic Lens which grants: Chance to bring back gems from successful missions. Instant. Apply Equipment Equip a champion with a Monelite Fish Finder which grants: Chance to bring back fish from successful missions. Instant. Apply Equipment Equip a champion with Rough-hooked Tidespray Linen which grants: Chance to bring back cloth from successful missions. Instant. Apply Equipment Equip a champion with a Monelite Whetstone which grants: Increases mission success chance by 0%. Instant. Apply Equipment Equip a champion with a Disenchanting Rod which grants: Chance to bring back enchanting dust from successful missions. Instant. Azerite Grenade Deals 6 to 6 Deals 11 to 11 Arcane damage to all enemies within 5 yards of impact. 30 yd range (40 for friends 40 yd range). 1.5 sec cast. Reagents: Unstable Azerite Grenade. Bwonsamdi's Bargain (New) Absorbs up to 57,925 damage from an attack that would kill you. When this effect occurs, you instantly heal for 3,656 and then gain Bwonsamdi's Bargain absorbing healing equal to 60% of the initial damage prevented. May only occur once every 6 min. 1 sec cooldown. Calibrating Sends a bolt of mostly harmless energy at your target. Only works on dead targets. 15 yd range. 1.5 sec cast (Channeled). 1 sec global cooldown. Diamond Barrier (New) Gain Diamond Barrier which absorbs incoming damage. Every 10 seconds, Diamond Barrier grows by 460, up to 2,300. Embiggining Blasts the enemy with sand that inflicts 1 Physical damage every 1.5 sec. and slows their movement speed by 1% Sends a bolt of mostly harmless energy at your target. Only works on dead targets. 15 yd range. 1.5 sec cast (Channeled). 1 sec global cooldown. Enveloping Protection 40 yd range. Instant. Enveloping Protection Grant your target a shield for 20 sec, absorbing 7,975 10 sec, absorbing 2,896 damage. 50 yd range. Instant. 5 sec cooldown. 5 sec global cooldown. 2 min cooldown. Gift of Wind (New) Your attacks have a chance to trigger the Gift of Wind, increasing your Haste by 292 and your Speed rating by 93 for 15 sec. Approximately 1.5 procs per minute. Gladiator's Insignia Your damaging Your spells and abilities have a chance to grant 367 primary stat for 20 sec. Approximately 1.5 procs per minute. Honorbound Scouting Map (New) Discover several Horde flight points around Zandalar and Kul Tiras. 2 sec cast. Indomitable Attacks which reduce your health below 50% grant you a physical absorb shield equal to 43% of the damage done by the attack for 6 sec. up to 3,447. This effect cannot trigger more often than once every 60 sec. Indomitable Attacks which reduce your health below 50% grant you a physical absorb shield equal to 56% of the damage done by the attack for 6 sec. up to 3,447. This effect cannot trigger more often than once every 60 sec. Indomitable Attacks which reduce your health below 50% grant you a physical absorb shield equal to 50% of the damage done by the attack for 6 sec. up to 3,447. This effect cannot trigger more often than once every 60 sec. Ire of the Deep (New) Your spells and abilities have a chance to summon an Ire of the Deep at your target's location dealing 348 Frost damage split amongst all enemies within 8 yds and slowing them by 20% for 4 sec. Approximately 1.5 procs per minute. Kimbul's Razor Claw (New) Your melee attacks have a chance to claw your target, causing 634 Physical damage over 6 sec. Clawing the target from behind will leech 50% of the damage done. 50 yd range. Approximately 2 procs per minute. Magical Life (New) An alcoholic beverage swarming with life. Instant. Mirror of Entwined Fate (New) Restore 348 health to the target, but inflict a curse on the caster, absorbing the next 232 healing they receive. 50 yd range. Instant. 2 min cooldown. 30 sec global cooldown. Oscillating Overload (New) Maintain the current Oscillation of V.I.G.O.R. for 6 sec. 40 yd range. Instant. 1.5 min cooldown. Primal Rage (New) Enter a primal rage, dealing 743 Physical damage split among enemies within 0 yds every 1.00 sec for 4 sec. You cannot move or use abilities during your rage. Instant. 2 min cooldown. R.A.G.E. (New) Engage the servos, ramping your Haste by 495 and Speed by 255 over 10 sec and redlining for an additional 8 sec. Instant. 1.5 min cooldown. 30 sec global cooldown. Refreshment (New) Restores 166,256 health and 83,128 mana over 20 sec. Must remain seated while eating. If you spend at least 10 seconds eating you will become well fed and gain 150 Stamina for 60 min. Instant. Refreshment (New) Restores 83,128 health and 41,564 mana over 20 sec. Must remain seated while eating. If you spend at least 10 seconds eating you will become well fed and gain 112 Stamina for 60 min. Instant. Sandfishing May cause bone sifters hungry creatures to surface. Unlimited range. 3.5 sec cast (Channeled). Set Keystone Level: 10 (New) Set the level of a Mythic Keystone to 10. Instant. Set Keystone Level: 11 (New) Set the level of a Mythic Keystone to 11. Instant. Set Keystone Level: 12 (New) Set the level of a Mythic Keystone to 12. Instant. Set Keystone Level: 13 (New) Set the level of a Mythic Keystone to 13. Instant. Set Keystone Level: 14 (New) Set the level of a Mythic Keystone to 14. Instant. Set Keystone Map: Atal'dazar (New) Set the dungeon map of a Mythic Keystone to Atal'Dazar. Instant. Set Keystone Map: Freehold (New) Set the dungeon map of a Mythic Keystone to Freehold. Instant. Set Keystone Map: Kings' Rest (New) Set the dungeon map of a Mythic Keystone to Kings' Rest. Instant. Set Keystone Map: Shrine of the Storm (New) Set the dungeon map of a Mythic Keystone to Shrine of the Storm. Instant. Set Keystone Map: Siege of Boralus (New) Set the dungeon map of a Mythic Keystone to Siege of Boralus. Instant. Set Keystone Map: Temple of Sethraliss (New) Set the dungeon map of a Mythic Keystone to Temple of Sethraliss. Instant. Set Keystone Map: The MOTHERLODE!! (New) Set the dungeon map of a Mythic Keystone to The MOTHERLODE!! Instant. Set Keystone Map: The Underrot (New) Set the dungeon map of a Mythic Keystone to The Underrot. Instant. Set Keystone Map: Tol Dagor (New) Set the dungeon map of a Mythic Keystone to Tol Dagor. Instant. Set Keystone Map: Waycrest Manor (New) Set the dungeon map of a Mythic Keystone to Waycrest Manor. Instant. Surging Waters (New) Your damaging spells have a chance to release a small Tide Elemental, sending it speeding towards your target and dealing 296 Frost damage divided evenly among enemies within 0 yds. Approximately 3 procs per minute. The Glaive of Vol'jin Throw at the corpse of G'huun. 50 yd range. 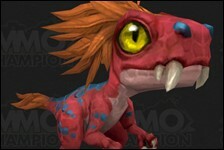 1.5 sec cast.Reagents: The Glaive of Vol'jin. Thought Harvester Casting Vampiric Touch increases the damage of your next Shadow Word: Void by 452. Mind Blast by 452. Tide Elemental (New) Summon a Surging Elemental to fight by your side for 20 sec. 100 yd range. Instant. 2 min cooldown. Unlocking (New) Melee range. 1.5 sec cast. Reagents: Xibek's Key. V.I.G.O.R. Engaged (New) Equip: Your Critical Strike increases by 59 every 2 sec, up to a peak of 295 Critical Strike for 8 sec. It then descends by 59 every 2 sec until it shuts down for 16 sec, then restarting again. 40 yd range. Instant. Vantus Rune: Battle of Dazar'alor Name changed from "Vantus Rune: Zuldazar Raid" to "Vantus Rune: Battle of Dazar'alor". Attune yourself to the energies of the targeted Zuldazar Battle of Dazar'alor raid boss, increasing your Versatility by 277 when fighting that boss. This effect lasts for an entire week. You can only use one Vantus Rune per week. Unlimited range. 1.5 sec cast. Windswept (New) The winds of Pa'ku sweep you to a nearby Totem of Pa'ku. Unlimited range. 1.5 sec cast. 20 min cooldown. Yu'lon's Fury (New) Summon a Yu'lon's spirit striking all enemies within 0 yds of your target dealing 1,451 Nature damage split amongst them. 8 yd range. Instant. 1.5 min cooldown. Tidalcore to Hydrocore Convert one Tidalcore into one Hydrocore. Alchemy. Alchemy. 2 sec cast. Reagents: Hydrocore. Tidalcore. Tidalcore to Hydrocore Convert one Tidalcore into one Hydrocore. Blacksmithing. Blacksmithing. 2 sec cast. Reagents: Hydrocore. Tidalcore. Seasoned Steak and Potatoes (New) Prepare more Seasoned Steak and Potatoes in each batch. Cooking. Cooking. 2 sec cast. Reagents: Thick Paleo Steak x 6, Fresh Potato x 5, Foosaka x 2, Aromatic Fish Oil x 2. Seasoned Steak and Potatoes (New) You don't waste a single ingredient, preparing much more Seasoned Steak and Potatoes in each batch. Cooking. Cooking. 2 sec cast. Reagents: Thick Paleo Steak x 6, Fresh Potato x 5, Foosaka x 2, Aromatic Fish Oil x 2. Seasoned Steak and Potatoes (New) Prepare Seasoned Steak and Potatoes. Cooking. Cooking. 2 sec cast. Reagents: Thick Paleo Steak x 6, Fresh Potato x 5, Foosaka x 2, Aromatic Fish Oil x 2. Wild Berry Bread (New) Prepare more Wild Berry Bread in each batch. Cooking. Cooking. 2 sec cast. Reagents: Wild Flour x 8, Wild Berries x 8, Powdered Sugar x 5, Aromatic Fish Oil x 2. Wild Berry Bread (New) You don't waste a single ingredient, preparing much more Wild Berry Bread in each batch. Cooking. Cooking. 2 sec cast. Reagents: Wild Flour x 8, Wild Berries x 8, Powdered Sugar x 5, Aromatic Fish Oil x 2. Wild Berry Bread (New) Prepare Wild Berry Bread. Cooking. Cooking. 2 sec cast. Reagents: Wild Flour x 8, Wild Berries x 8, Powdered Sugar x 5, Aromatic Fish Oil x 2. Tidalcore to Hydrocore Convert one Tidalcore into one Hydrocore. Enchanting. Enchanting. 2 sec cast. Reagents: Hydrocore. Tidalcore. Surging Bionic Bifocals Create Sanguified Create Surging Bionic Bifocals. Engineering. Engineering. 2 sec cast. Reagents: Storm Silver Ore x 30, Platinum Ore x 10, Insulated Wiring x 15, Expulsom x 15, Tidalcore x 15. Surging Gearspun Goggles Create Sanguified Create Surging Gearspun Goggles. Engineering. Engineering. 2 sec cast. Reagents: Storm Silver Ore x 30, Platinum Ore x 10, Insulated Wiring x 15, Expulsom x 15, Tidalcore x 15. Surging Orthogonal Optics Create Sanguified Create Surging Orthogonal Optics. Engineering. Engineering. 2 sec cast. Reagents: Storm Silver Ore x 30, Platinum Ore x 10, Insulated Wiring x 15, Expulsom x 15, Tidalcore x 15. Surging Synthetic Specs Create Sanguified Create Surging Synthetic Specs. Engineering. Engineering. 2 sec cast. Reagents: Storm Silver Ore x 30, Platinum Ore x 10, Insulated Wiring x 15, Expulsom x 15, Tidalcore x 15. Tidalcore to Hydrocore Convert one Tidalcore into one Hydrocore. Engineering. Engineering. 2 sec cast. Reagents: Hydrocore. Tidalcore. Tidalcore to Hydrocore Convert one Tidalcore into one Hydrocore. Inscription. Inscription. 2 sec cast. Reagents: Hydrocore. Tidalcore. Vantus Rune: Battle of Dazar'alor Name changed from "Vantus Rune: Zuldazar Raid" to "Vantus Rune: Battle of Dazar'alor". Greatly reduces the materials required to craft a Vantus Rune: Zuldazar Raid Battle of Dazar'alor. Inscription. Inscription. 1.5 sec cast. Reagents: Light Parchment, Ultramarine Ink x 25, Viridescent Ink x 6. Vantus Rune: Battle of Dazar'alor Name changed from "Vantus Rune: Zuldazar Raid" to "Vantus Rune: Battle of Dazar'alor". Craft a Vantus Rune: Zuldazar Raid Battle of Dazar'alor. Inscription. Inscription. 1.5 sec cast. Reagents: Light Parchment, Ultramarine Ink x 30, Viridescent Ink x 10. Vantus Rune: Battle of Dazar'alor Name changed from "Vantus Rune: Zuldazar Raid" to "Vantus Rune: Battle of Dazar'alor". Reduces the materials required to craft a Vantus Rune: Zuldazar Raid Battle of Dazar'alor. Inscription. Inscription. 1.5 sec cast. Reagents: Light Parchment, Ultramarine Ink x 28, Viridescent Ink x 8. Tidalcore to Hydrocore Convert one Tidalcore into one Hydrocore. Jewelcrafting. Jewelcrafting. 2 sec cast. Reagents: Hydrocore. Tidalcore. Tidalcore to Hydrocore Convert one Tidalcore into one Hydrocore. Leatherworking. Leatherworking. 2 sec cast. Reagents: Hydrocore. Tidalcore. Tidalcore to Hydrocore Convert one Tidalcore into one Hydrocore. Tailoring. Tailoring. 2 sec cast. Reagents: Hydrocore. Tidalcore. Iron - Gathered throughout the warfront. Used to construct buildings and increase the power of yourself and allies. Max Quantity: 200. you and your allies. Max Quantity: 200. Wood - Gathered Gathered by harvesting trees and piles of wood throughout the warfront. Used to construct buildings and increase the power of yourself and allies. Max Quantity: 100. upgrade troops. Max Quantity: 100. The Battle for Darkshore - Rally beside your forces and push forth to reclaim Darkshore for the Horde. Map: Warfronts Darkshore - Horde. Level 110+. Suggested level: 120. Roles: 15-20 damage. Ulduar - 8.1 Dwarf Heritage Armor - You tread within the ancient titan city of Ulduar. Map: Ulduar. Level 120-1. Suggested level: 120. Roles: 1 tank/1 healer/3 damage. damage. Battle of Dazar'alor (New) - Map: Battle of Dazar'alor. Level 120. Suggested level: 120. Roles: . Death's Bargain (New) - Horde only. Map: Battle of Dazar'alor. Level 120. Suggested level: 120. Roles: 1-2 tank/4-5 healer/13-18 damage. Defense of Dazar'alor (New) - Horde only. Map: Battle of Dazar'alor. Level 120. Suggested level: 120. Roles: 1-2 tank/4-5 healer/13-18 damage. Empire's Fall (New) - Alliance only. Map: Battle of Dazar'alor. Level 120. Suggested level: 120. Roles: 1-2 tank/4-5 healer/13-18 damage. Might of the Alliance (New) - Alliance only. Map: Battle of Dazar'alor. Level 120. Suggested level: 120. Roles: 1-2 tank/4-5 healer/13-18 damage. Siege of Dazar'alor (New) - Alliance only. Map: Battle of Dazar'alor. Level 120. Suggested level: 120. Roles: 1-2 tank/4-5 healer/13-18 damage. Victory or Death (New) - Horde only. Map: Battle of Dazar'alor. Level 120. Suggested level: 120. Roles: 1-2 tank/4-5 healer/13-18 damage. Darkshore > The Ashenvale Front (New) - Music: Zone-GroveOfTheAncients. Battle of Dazar'alor - Name changed from "Siege of Zuldazar" to "Battle of Dazar'alor". Battle of Dazar'alor - Heroic Raid - Name changed from "Siege of Zuldazar - Heroic Raid" to "Battle of Dazar'alor - Heroic Raid". Battle of Dazar'alor - Looking For Raid - Name changed from "Siege of Zuldazar - Looking For Raid" to "Battle of Dazar'alor - Looking For Raid". Battle of Dazar'alor - Mythic Raid - Name changed from "Siege of Zuldazar - Mythic Raid" to "Battle of Dazar'alor - Mythic Raid". Battle of Dazar'alor - Normal Raid - Name changed from "Siege of Zuldazar - Normal Raid" to "Battle of Dazar'alor - Normal Raid". The Vindicaar - Name changed from "The Exodar" to "The Vindicaar". Blue Marsh Hopper (New) - Ground Mount. Blue Marsh Hopper. "PH"
Green Marsh Hopper (New) - Ground Mount. Green Marsh Hopper. "PH"
Yellow Marsh Hopper (New) - Ground Mount. Yellow Marsh Hopper. "PH"
01: Deliver the Prisoner - Name changed from "01: Speak to Warden Amical" to "01: Deliver the Prisoner". 02: The Way In - Name changed from "02: Send the guards away, and take the key" to "02: The Way In". Send the guards away, and take the Master Key. Give the guards a reason to leave, then take the Master Key. 04: Create a Distraction - Name changed from "04: Create a distraction" to "04: Create a Distraction". Release prisoners and plant the explosives. Free the prisoners. They will keep the guards occupied. 05: Escape the Prison - Get through the sewer Plant explosives in the sewer to block your escape. 06: The Last Stand - Name changed from "06: Defeat the Warden" to "06: The Last Stand". Warden Amical defeated and his soldiers are the last obstruction. Once they are defeated, the path to freedom is clear. 07: Get to the Ship - Ashvane Delivered The Dark Lady awaits her prize. 01: Battle Preparations (New) - Prepare yourself for battle. 02: Purging the Ruins - Name changed from "01: To Auberdine!" to "02: Purging the Ruins". Remove the Alliance elven presence from the Ruins of Auberdine. 03: Advance the Front (New) - Defeat the Alliance's forward commander in the Ruins of Auberdine. 04: Necessity Frees Invention (New) - Free the apothecary. 05: Charge Onward (New) - Fight beside your commander to clear a path to Bashal'Aran. 06: Crush the Resistance (New) - Defeat Archdruid Andrenius at Bashal'Aran. 07: Establish a Foothold - Name changed from "02: Forward Progress" to "07: Establish a Foothold". 09: Advancing the Effort - Name changed from "03: Advancing the Effort" to "09: Advancing the Effort". 11: End of the Road - Name changed from "04: End of the Road" to "11: End of the Road". ERR_REFER_A_FRIEND_SUMMON_COOLDOWN - You can only summon your friend once per hour every thirty minutes. NEW_SEASON_YAY (New) - NEW SEASON! PVP_GEAR_REWARD_CHANCE (New) - Chance to receive item level %d gear. PVP_GEAR_REWARD_CHANCE_LONG (New) - Winning gives you a chance to receive item level %d gear. SPELL_FAILED_CUSTOM_ERROR_380 (New) - The ballista cannot be used while on fire. TRANSMOG_SET_PARTIALLY_KNOWN_CLASS (New) - Contains %d uncollected |4appearance:appearances;. TRANSMOG_SET_PARTIALLY_KNOWN_MIX (New) - Contains %1$d uncollected |4appearance:appearances; for your class and %2$d uncollected |4appearance:appearances; for other classes.